Gilbane’s collaboration makes dream a reality. 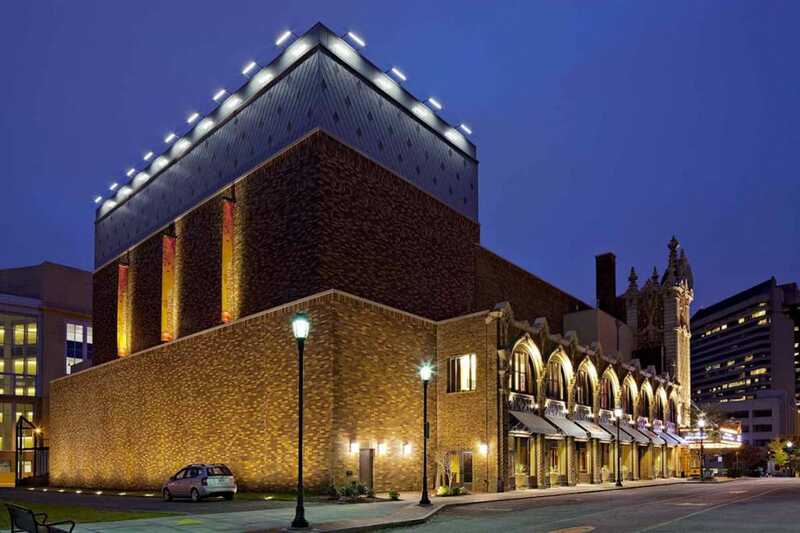 Architect: Wilson Butler Lodge, Inc.
For Several years the Richmond CenterStage project was simply a dream premised on reinvigorating the local community through the performing arts. 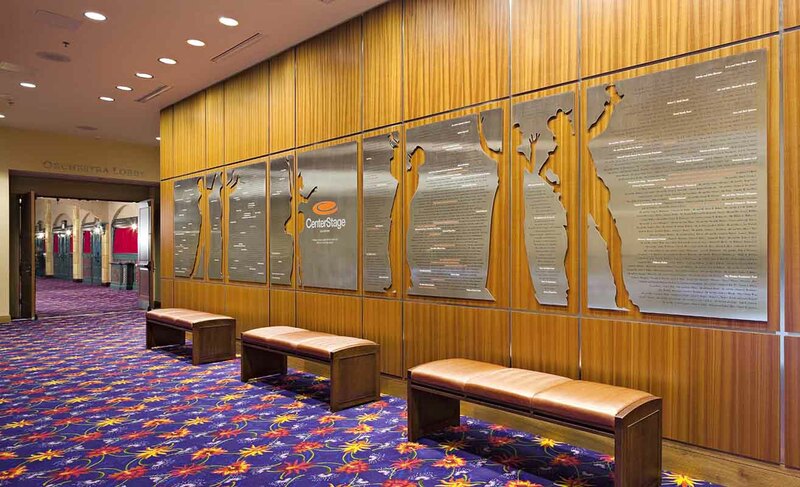 Making this dream a reality required the commitment, collaboration and support of the City of Richmond, the CenterStage Foundation, the Richmond Performing Arts Corporation, and Gilbane Building Company. 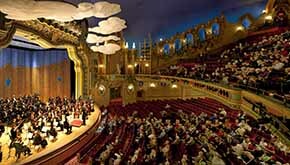 A jewel located in the heart of downtown Richmond is the historic John Eberson designed Loew’s theater, a landmark atmospheric theater which has been restored to its 1928 architectural glory. 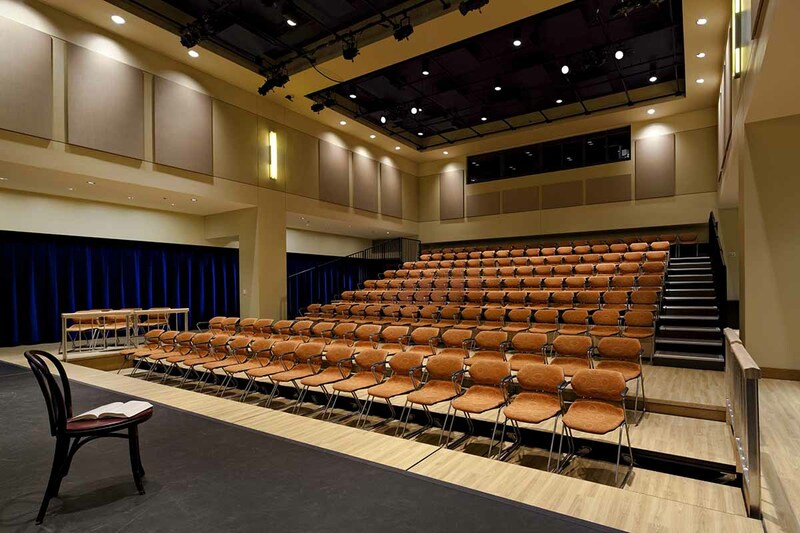 Improvements include an expanded stage house, re-sloping the balcony seating, improving the lobby and restroom spaces, and making all levels accessible. The former Thalhimers Department Store structural frame which was standing at the southeast corner of the site has become the support office space for the CenterStage Foundation and the Richmond Symphony, dressing rooms, a community play house plus multi-function and rehearsal spaces. A new elevator core, stair tower, and restroom spaces were also added in this space. A three bay truck dock was added on 7th street allowing easier delivery and setup for performances in this new Richmond landmark. Work was divided into approximately 45 different bid packages to allow maximum opportunity for interested trade contractors, which resulted in 22% MBE participation. $17.8 million of the project was funded through the sale of historic tax credits. Therefore, renovations were constructed in accordance with strict historic preservation standards and the project required several additional mock-ups and benchmark inspections for the exterior brick utilized on the new stagehouse portion of the project to ensure that we achieved approval from the Department of Historic Resources for the historic tax credits associated with the project.